Keep Your Feet Healthy and Pain-Free! Do your feet ever hurt? 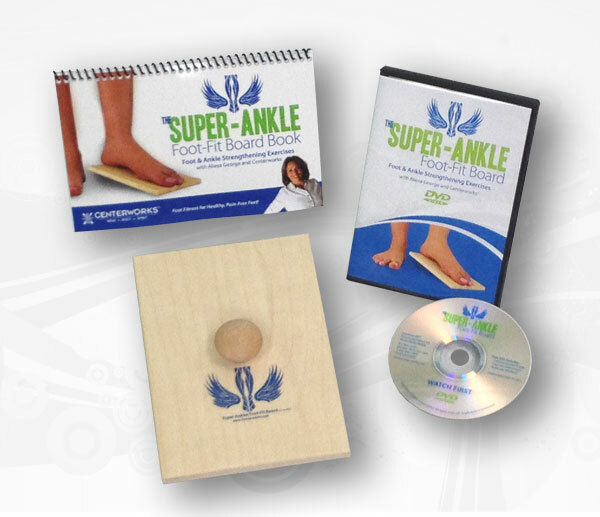 If you walk or run and want to avoid foot pain problems like Plantar Fasciitis, ankle sprains, shin splints, foot cramps, Achilles tendon problems and more… The foot-fitness products in this Runfit Kit will be a valuable addition to your training program. For the price of one good pair of running shoes, you’ll have everything you need to keep your feet fit for a lifetime of good health. Centerworks® Acupressure Foot Massage Mat: March on your mat for a quick 1-2 minutes a day to keep the soles of your feet feeling great. Invigorates tired, sore feet. Helps release tension and stress. 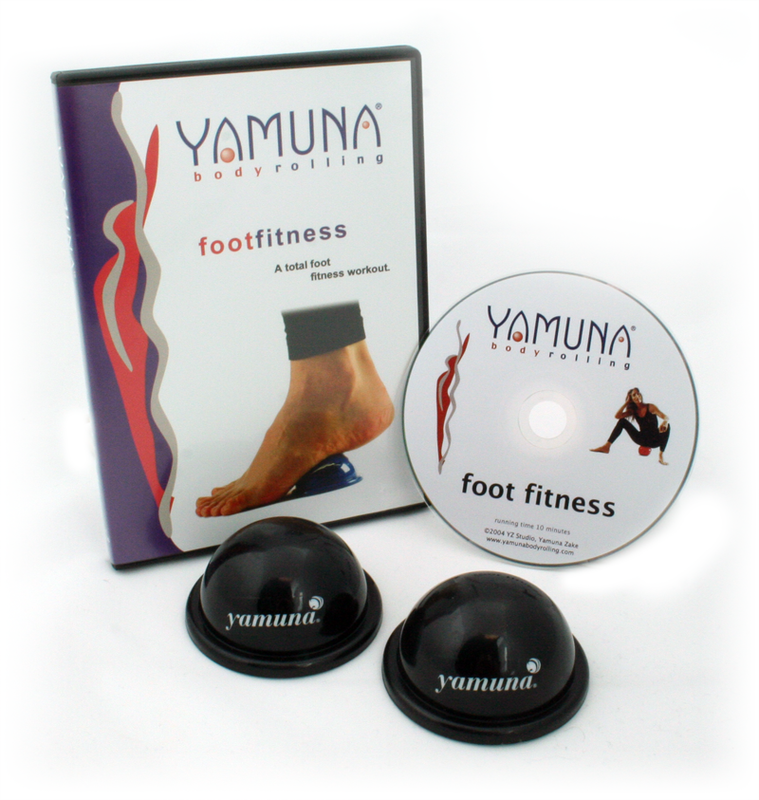 Increases energy, circulation and blood flow to improve foot fitness, vitality, and whole-body health. All these targeted foot-care products are in a cool bag to go anywhere for a quick and easy foot fitness workout at home, on the road or at the gym. * Ideal for Runners, Walkers, Tri-Athletes, Athletes in ANY Sport, and EVERYONE who wants to keep their FEET FIT! 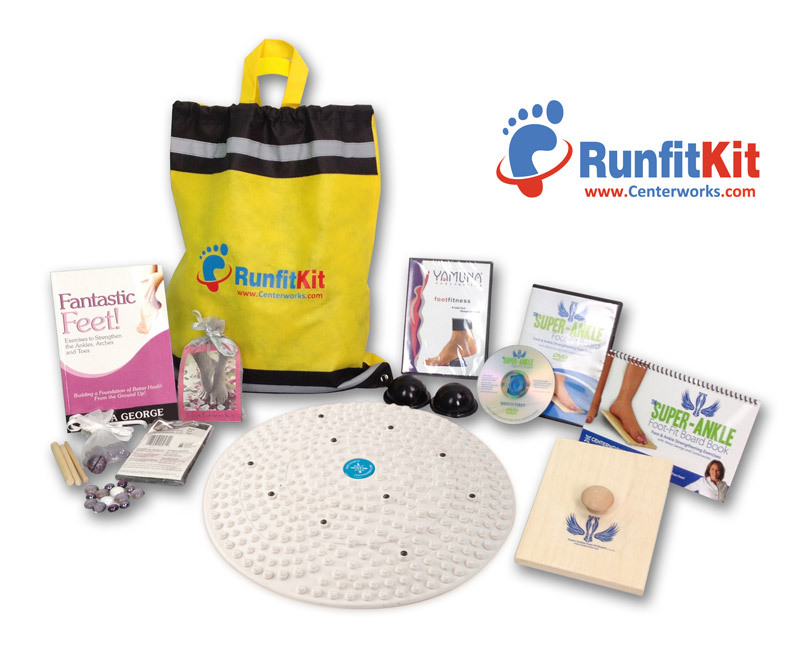 Don’t wait until your feet hurt… keep your feet fit with the tools and resources in your RunFit Foot Fitness Kit™!